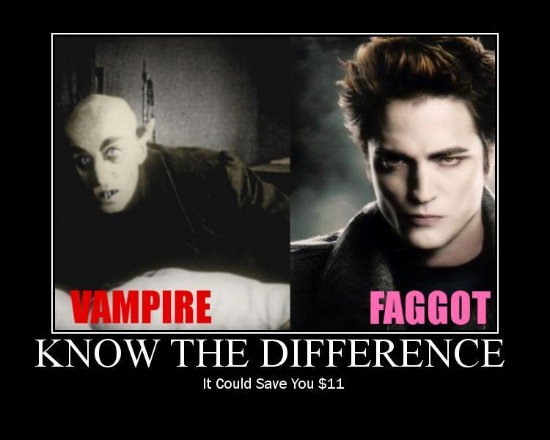 Know the difference. . Wallpaper and background images in the हैरी पॉटर बनाम ट्वाइलाइट club tagged: twilight harry potter twilight series funny edward cullen. This हैरी पॉटर बनाम ट्वाइलाइट fan art might contain मोबाइल फोनों के लिए, हास्य पुस्तक, मंगा, कार्टून, एनीमे, कॉमिक बुक, manga, चित्र, headshot, closeup, हेडशॉट, and क्लोज़अप. A somewhat logic behind the depression of Bella हंस as seen in New Moon.